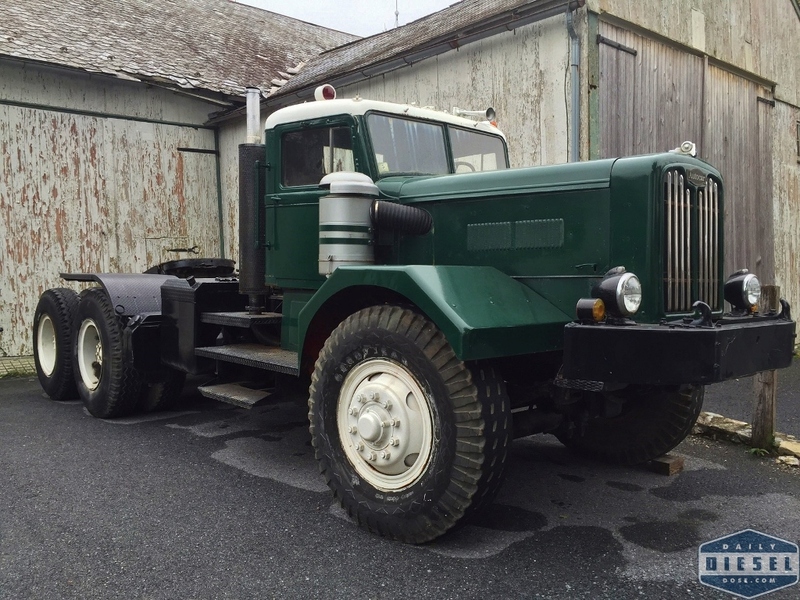 Autocar Trucks have hauled plenty of heavy loads over the centuries but few have shouldered the load like this 1952 DC200 that once belonged to the fabled New York City heavy haul firm of Gerosa Haulage Corp. I have not be able to find the exact specs on this truck but I think we can agree that this truck most likely has the heaviest rears, the lowest gears and the largest displacement engine available for the times. 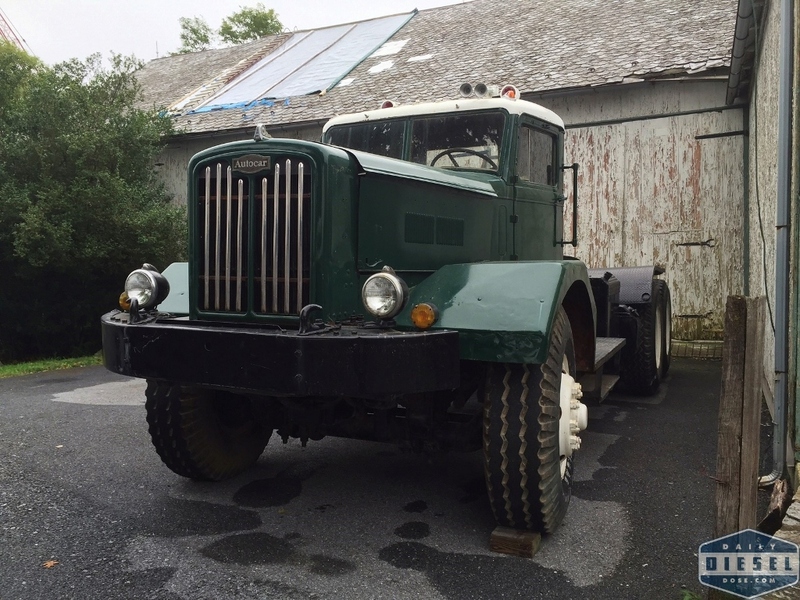 A little poking around the web reveals this truck, original number 176, in more than a few heavy situations. One of my personal favorites is this shot of a steam locomotive being hauled through the streets. A strong back is necessary for any sort of hauling and this rig has it. Oh if those frame rails could talk. According to some, this truck was one of the first built in 1952. The sheer size of this truck is not easily comprehended through normal photos, the tires alone make an average size man seem small by comparison. Dave happened to see this truck at the most recent Gerharts event and was kind enough to snap off a few photos. Thanks Dave, we are in your debt. This entry was posted in Autocar Trucks and tagged autocar dc200, gerharts machinery, gerosa 176, gerosa heavy hauling. Bookmark the permalink.